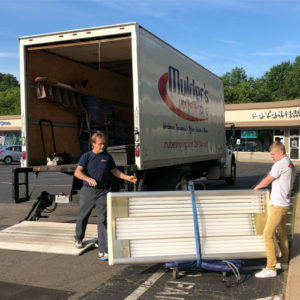 If you’re searching for Kalamazoo piano movers (or piano movers in West Michigan), Mulder’s is your best choice. We understand the value when it comes to your piano, and we will handle it with care. We take preventative measures to protect the keys, legs, and exterior of the piano. Watch how we move this beautiful Grand Piano from Miller Auditorium to Kalamazoo Symphony Orchestra! 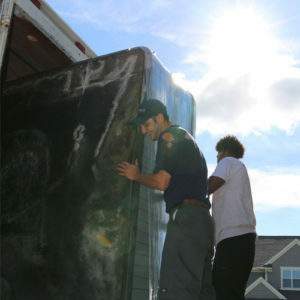 We also specialize in moving organs, among other large, difficult, and valuable items. We’ll be happy to provide you with a free estimate for your upcoming piano move—just call (269) 344-6683 or use our Online Estimate tool. 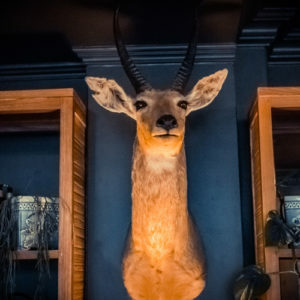 We understand that your animal mounts are important. Whether you hunted the animal yourself, or attained the mount another way, the piece is a catalyst to the memories surrounding the event. A piece with such a strong emotional tie needs to be moved with extra care and caution. At Mulder’s Moving and Storage, we specialize in dismounting, moving, storing, and hanging mounts. Smaller mounts may be wrapped with care while larger mounts require a custom built crate. We are experienced and excel at crating and moving with caution to ensure a safe arrival. All mounts are transported only in covered trucks, and if storing is necessary, we will store them safely in our climate-controlled unit until you are ready for us to hang them in your new home. For more details on the process, check out this article. We are delighted to provide you with a free estimate for your upcoming taxidermy move—just call (269) 344-6683 or use our Online Estimate tool. The fiberglass structure and the sheer weight and size of hot tubs make them difficult to move. Hot tubs that have been used will still hold gallons of water – even after you drain it and think all of the water is out – adding weight. We excel in moving these difficult and delicate items. Check out this article about a recent hot tub move! Please note that we are not qualified to disconnect your hot tub from any water or power source. Your hot tub must be disconnected, cleaned and drained prior to the move in order for us to perform the move! We are excited to provide you with a free estimate for your upcoming hot tub move—just call (269) 344-6683 or use our Online Estimate tool. Another large and delicate item, tanning beds not only require special carrying and transportation, they also require disassembly before they can be moved. Trust the experts at Mulder’s Moving to get the bed moved where you need it without breaking the glass! For more information, check out this article. It is our pleasure to provide you with a free estimate for your upcoming tanning bed move—just call (269) 344-6683 or use our Online Estimate tool. Grandfather clocks are difficult to move because of their height and delicacy. 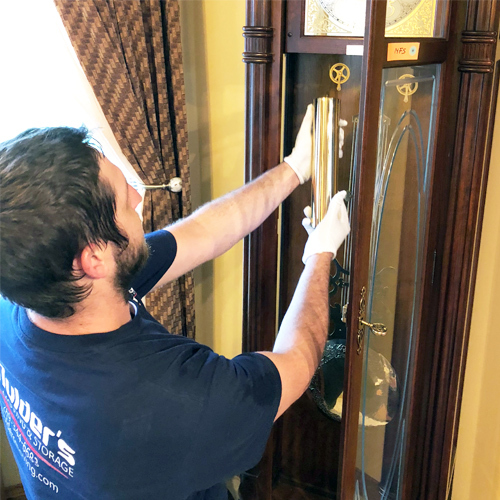 Our crew uses white gloves when touching any grandfather clock to ensure that no oils are left on the metal causing it to tarnish over time. After we disassemble the pieces and wrap everything for protection, we transport the clock in our covered truck so that it is out of the elements. Read our tips for moving a grandfather clock here! We’ll be happy to provide you with a free estimate for your upcoming grandfather clock move—just call (269) 344-6683 or use our Online Estimate tool.